Eugene Lin is a health services researcher with a focus on economic policies pertaining to nephrology. His research interests are in cost-effectiveness and assessing the impact of financial incentives on patient outcomes. During the 2017-2018 academic year he was a visiting scholar in the USC Schaeffer Center, working in collaboration with Schaeffer faculty investigating the impact of third-party premium payments on the Affordable Care Act insurance exchanges. He recently concluded a project studying the appropriateness of 30-day rehospitalizations in dialysis patients (NIH/NIDDK F32) and is studying the economic and social determinants of home dialysis drop-out (NIH/NIDDK K08). He also has interests in how Medicare policies affect the billing and delivery of health care by physicians and other providers, optimization of healthcare delivery, and has recently studied the cost-effectiveness of a multi-disciplinary care program in chronic kidney disease. 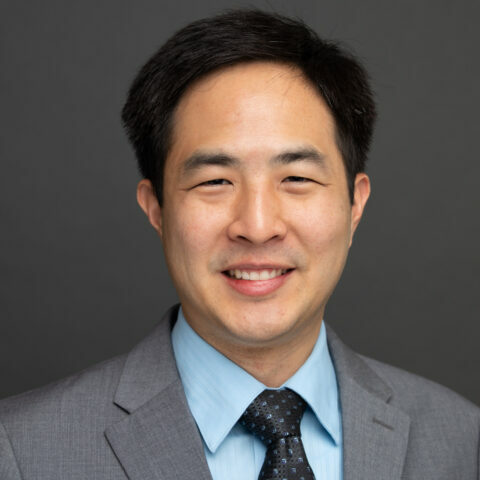 Eugene completed a postdoctoral fellowship in nephrology at the Stanford School of Medicine in 2018 and a MS in Health Services Research at Stanford University in 2017. He received a BS in biology (minor in mathematics) from Stanford University, an MD from Baylor College of Medicine, and completed his Internal Medicine residency at the Hospital of the University of Pennsylvania.